What to Do When Your Well Water Freezes? Well problems in cold weather are uncommon because most wells are deep enough in the ground and not exposed to freezing weather. When there is a water flow problem in the winter, it's likely due to frozen well pipes or frozen pipes in the home. Knowing how to identify and deal with cold weather well problems can help to keep your water flowing all season long. Water doesn't freeze inside a well. Wells are dug below the "frost line," or the point where the ground might freeze during cold weather. 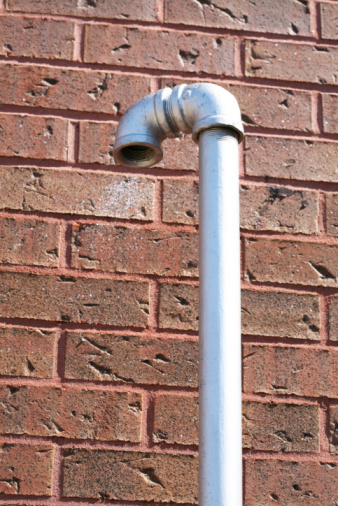 Problems arise when water gets closer to the ground as it travels above ground through pipes. This can cause water to freeze in the pipes, blocking the flow to kitchen or bathroom faucets. Water pumps in temperatures of 40 degrees or below can also freeze. However, this is rare as most well pumps are below the ground or housed in special "well houses" to protect them from the cold. Allowing a continuous slow drip of warm water during freezing weather will keep water flowing enough that pipes don't freeze. This isn't a practical solution as most homeowners would rather not run water all night. A good solution is to wrap pipes with wellhead insulation. 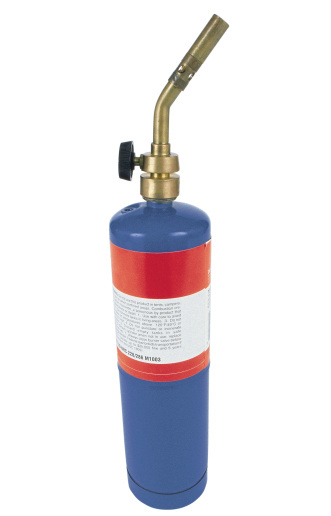 Most hardware or plumbing supply stores carry foam insulation sleeves for above-ground pipes. Well houses generate enough heat through insulation and the pump itself and shouldn't freeze. If an above-ground water pump freezes, the well house needs better insulation. 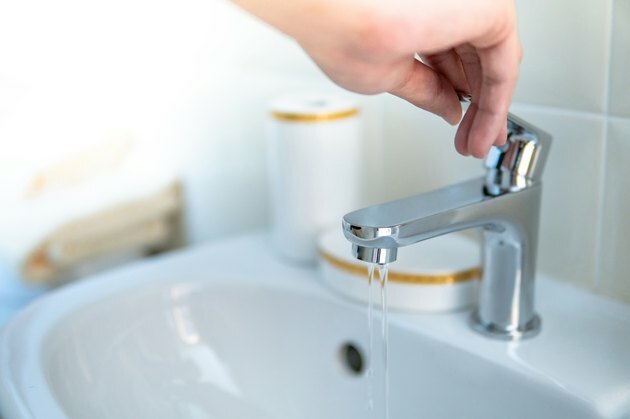 If water pressure is low and little or no water comes out at the faucet, it's a good sign of frozen pipes. It's important to thaw pipes right away to prevent cracks. To identify the location of the frozen pipes, first turn off the water supply to the house. Follow the pipes from the faucet to see if there are pipes that are covered in frost or ice. Cracked and bulging pipes also indicate frozen water. If the pipe is behind a wall, see if there is an area on the wall that has frost or condensation. For exposed pipes, a warm hairdryer, well heat lamp or even a heating pad can thaw the ice and have water flowing again. Once the ice in the pipes melts, wrap the area in pipe insulation to ensure it doesn't happen again. It's trickier to thaw out pipes inside a wall. Turning up the heat can help and holding a hairdryer on the wall in front of the pipes can also work. Cutting a hole in the wall to apply direct heat to the area may be necessary in extreme cases. Wrap the pipes with insulation before patching the wall. How Cold Is It Before Pipes Burst?